Hold on to your butts, we're going to Arkham Asylum in the upcoming Justice League movie. This info was dropped by the guys over at Batman-News and a recent press release from Warner Bros. included Jesse Eisenberg among the cast of the movie. 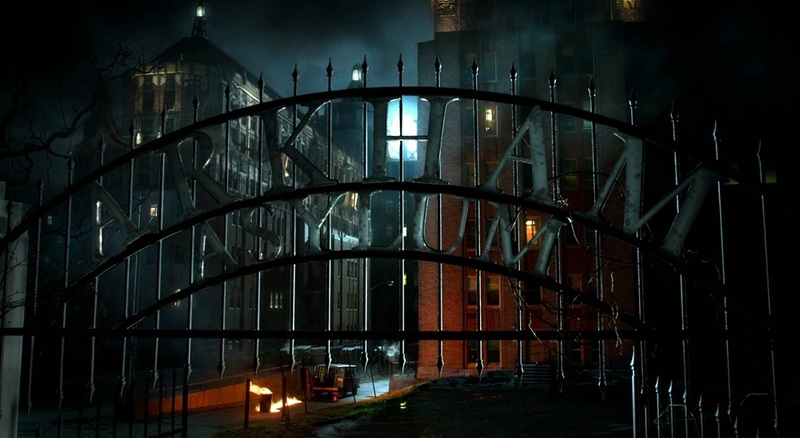 Since we know Lex is in Arkham, it makes sense that we'll see Arkham Asylum, the home for the criminally insane. Also several Justice League actors on IMDb have updated their profiles with their roles. “Arkham Guard”, “Arkham Guard 2”, and “Lex Luthor’s Guard” are all listed. For those that have been living under a rock and have no idea what Arkham is, this is your quick rundown. Arkham Asylum was named for the mother of Amadeus Arkham, a Gotham psychiatrist who founded the institution after his mother's mental illness led to her untimely death—in reality, Amadeus had euthanized her, although he repressed that memory. 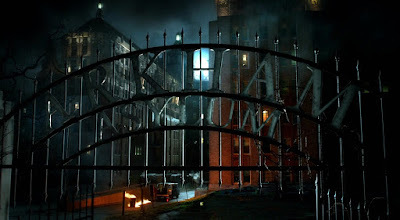 According to Batman Unauthorized: Vigilantes, Jokers, and Heroes in Gotham City, a compilation of contemporary analyses edited by Dennis O'Neil, the asylum was named for a somewhat similar facility known as "Arkham Sanitarium" mentioned in the horror fiction of Howard Phillips Lovecraft. As a result, DC's Arkham was supposed to mirror Lovecraft's dark and brooding literary characteristics while providing an essential intertextual supplement to the background atmosphere of equally dismal Gotham City. Arkham Asylum first appeared in October 1974 in Batman #258, written by Dennis O'Neil and pencilled by Irv Novick. At this point it was simply described as "Arkham Hospital" and implied to be somewhere upstate, in a rural setting. Nevertheless, in Batman #326 writer Len Wein described the asylum as being "deep in the suburbs of Gotham City". Arkham's fictional history was not established until 1985, during an issue of "Who's Who in the DC Universe", also penned by Wein. For several years thereafter it existed as little more than a storytelling device used by writers as a temporary confinement for Batman's deranged Rogues Gallery, making only brief cameo appearances when supervillains were incarcerated or re-incarcerated there. Occasional breakouts from Arkham were often referenced by supporting characters such as James Gordon, whose exasperation at the asylum's obvious security maw finally led him to criticize it as a "revolving door" for its denizens.